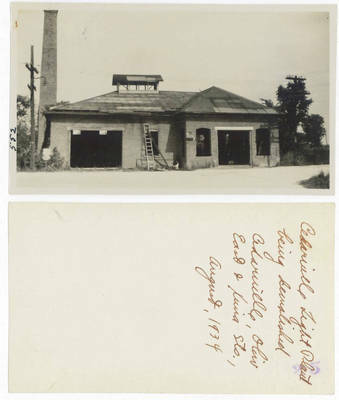 Note on back: "Cedarville Light Plant being demolished. Cedarville, Ohio. East of Xenia St. August 1934"